I must admit to being flattered when a pitch for an Android Wear app called Stocard hit my inbox. Stocard’s app lets you store loyalty and payment cards on your wrist, so you can earn points or buy coffee without flipping through your keychain or fiddling around with your phone. 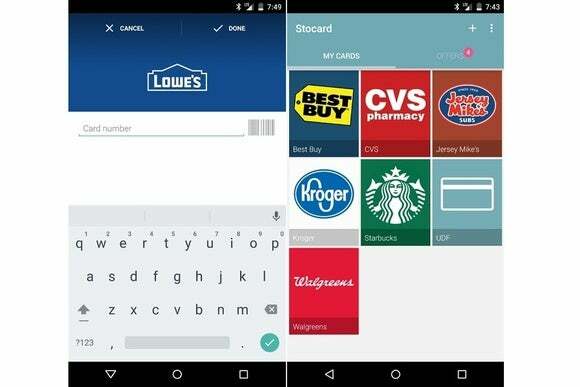 The app even promises automatic reminders when you walk into a store. 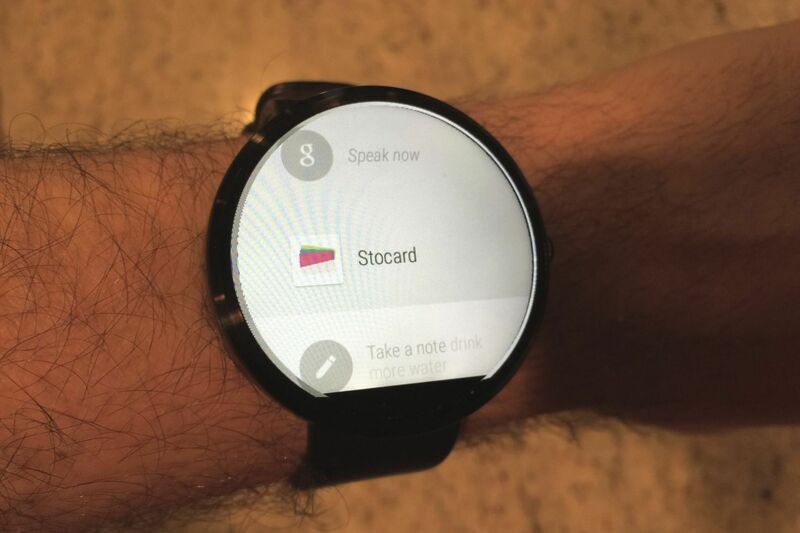 Previously, I’d come up with my own workaround for storing loyalty cards on Android Wear, involving Google Keep image notes with location-based reminders attached. The creators of Stocard claim that this hack is no longer necessary, even linking to my original post in their own announcement. Shout-out aside, I was interested in seeing whether Stocard was the loyalty card watch app I’ve been waiting for. But in my experience, it’s not quite there. While Stocard handles the basic syncing and presentation of loyalty cards well enough, I couldn’t get its advertised location-based reminders to work. Putting that issue aside for a moment, Stocard is at least a textbook example of how an Android Wear app should behave. Instead of making you install a separate smartwatch app, Stocard automatically appears on Android Wear after you've set up the main smartphone app. 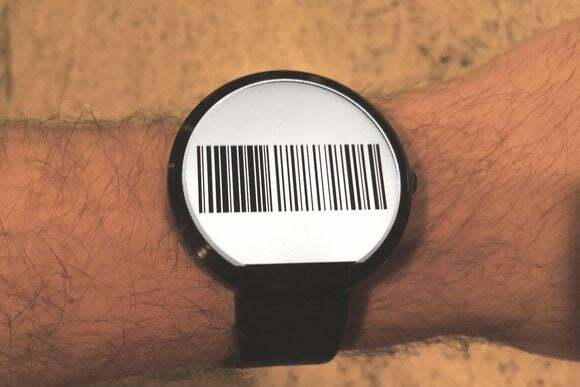 Any bar codes you load onto the phone will immediately be available on the watch with no extra setup required. The Android Wear app works offline as well, so you can load bar codes even when your phone is out of range. 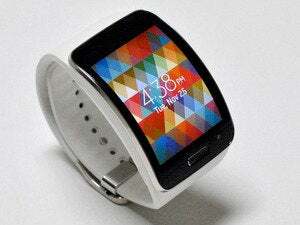 Just scan a bar code or type in the number, and the card will automatically appear on the watch. Stocard has lots of brands in its database, providing logos for major stores like CVS and Starbucks to correspond with your loyalty card. You can load bar codes from pretty much anywhere, however. My only complaint is that the app doesn’t show you any actual loyalty or payment data, such as the balance remaining on your Starbucks card. When it’s time to scan your card, you can launch the app from Android Wear’s command menu, choose a store from the list to open the barcode. 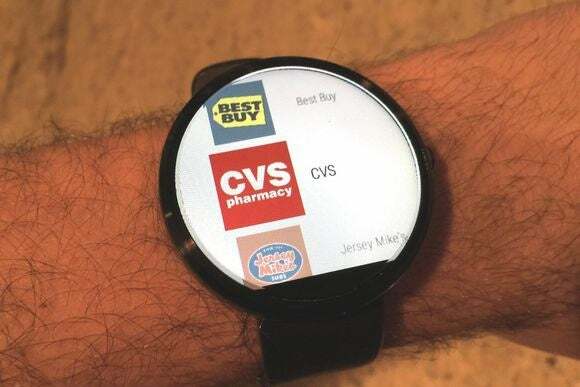 It'd be nice if Stocard could automatically brighten the display to make scanning easier, and show the name of the business on the barcode screen, but I was still able to scan my Walgreen’s card with default brightness on a Moto 360. The bar code screen itself is bare-bones, but gets the job done. 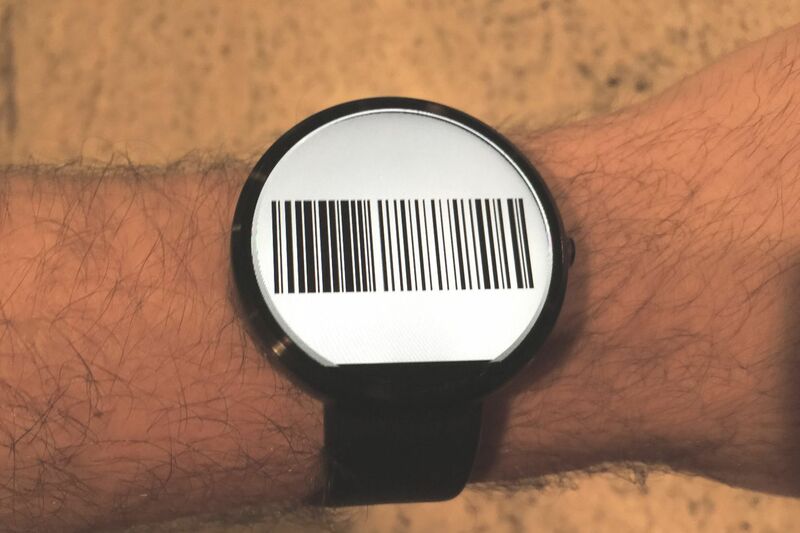 Here's the thing about storing loyalty cards on your smartwatch: In theory, they're supposed to save you time and effort while impressing everyone around you. But if the transaction isn't flawless, you risk holding up the line and looking like a fool as you dig around for your piece of plastic. The technology's too new for anyone to understand your foibles. The line of people behind you will not be impressed if you don't deftly navigate Android Wear's menus. Without a location-based prompt, opening your loyalty card becomes just a little trickier, requiring more precise motor skills as you navigate through the app launcher and cycle through the list of cards. And because Stocard doesn't keep your screen awake once the bar code is open, you're under pressure to execute immediately after you step up to the checkout counter. I don't find it worth the stress. I'm encouraged, at least, that Stocard is tackling smartphone loyalty cards in the first place. With refinements, it could be the wrist-worn keychain we've all been waiting for. 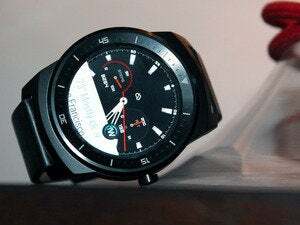 But it's currently too much of a highwire act, with any misstep resulting in a crushing display of nerdwatch failure.